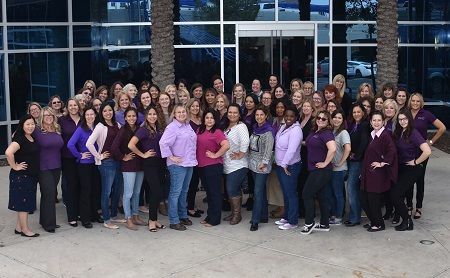 Orbital ATK employees across the country commemorated International Women's Day on Thursday, March 8, by wearing purple and attending special events. 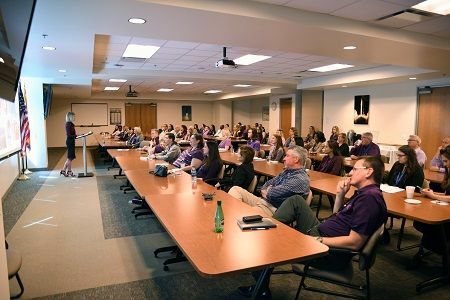 Employees in the company's Flight Systems Group in Chandler, Arizona, enjoyed a special meeting of the Professional Women's Group featuring guest speaker Wendy Williams, Vice President of Strategy & Integration for Flight Systems Group. Wendy Williams, Vice President of Strategy & Integration for Orbital ATK's Flight Systems Group, speaks to employees on International Women's Day. 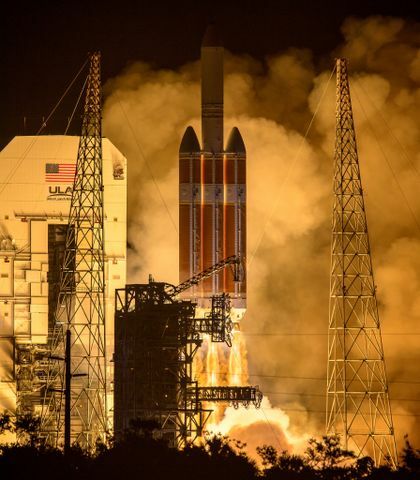 "Wendy is one of the most impressive people I've ever worked with," said Scott Lehr, Flight Systems Group President, as he introduced Williams. 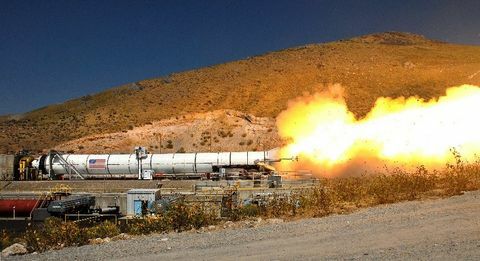 Lehr cited a few of Williams' significant achievements during her 28-year career at Orbital ATK then continued, "There is no one else I know who has the versatility of Wendy. If you give her a project, she gets it done. She is fearless and indispensable." Wendy Williams speaks at Launch Vehicles Division in Chandler, Arizona on International Women's Day. In her presentation "Press for Progress Starring You," Williams encouraged attendees to be proud of who they are and remember they have the power to make positive changes in their personal and professional lives. "You have to know what motivates you, what you value, and then go for it," she said. For Williams, those motivations are personal growth, working with a strong team, and adding value. These motivations are key to the professional choices she has made. "Everyone has different values, but you have to know what you want, own it – and then execute." 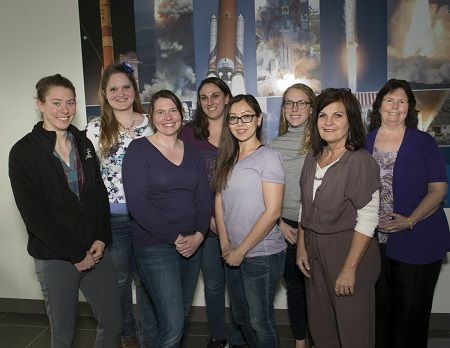 Orbital ATK employees at Promontory, Utah, on International Women's Day. Wendy also stressed having a presence versus just being present. She cited a study of college students that showed those students with a larger presence and more confident body language participated more actively and achieved better results. 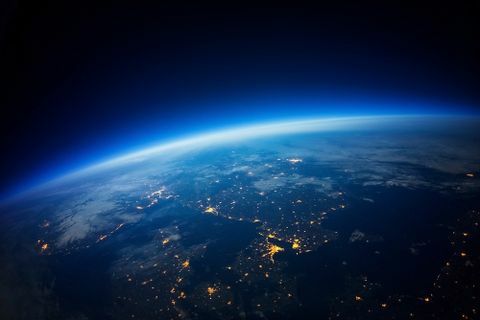 "Presence is confidence without arrogance and comes from trusting and believing in yourself. Communicate who you are both verbally and nonverbally, and make your presence known," she said. Orbital ATK employees in Chandler, Arizona, wear purple to commemorate the day. The theme for International Women's Day 2018 is #PressforProgress to recognize the progress women have made while calling for continued progress toward achieving worldwide gender parity. The color associated with this year's International Women's Day is ultra violet, chosen because it "communicates originality, ingenuity and visionary thinking," said Leatrice Eiseman, executive director of the Pantone Color Institute.